PRODUCT: 40 Foot Remote Mount Extension Cable for Solar Panels. Fits Attic Breeze remote mount solar panels and some others. Price/Each. 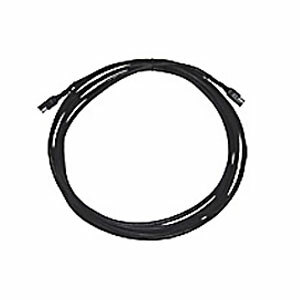 DESCRIPTION: 40 foot 14 gauge exterior grade wiring harness with weatherproof connectors. Replaces existing 15 foot solar panel wiring harness. SELF CONTAINED GABLE MOUNTED SOLAR POWERED ATTIC VENTILATOR FAN KIT, WTTH REMOTE MOUNT SOLAR PANEL, 1550 CFM, 25 WATT WITH THERMOSTAT. UNPAINTED, GALVALUME FINISH. LIFETIME WARRANTY. PRICE/KIT. SELF CONTAINED GABLE VENT, WALL MOUNT SOLAR POWERED ATTIC VENTILATOR FAN KIT, WITH REMOTE MOUNT SOLAR PANEL, 1550 CFM, 25 WATT, THERMOSTAT AND FLUSH MOUNT VENT. UNPAINTED, GALVALUME FINISH. LIFETIME WARRANTY. PRICE/KT. SELF CONTAINED SOLAR POWERED ATTIC VENTILATOR FAN KIT, CURB BASE, REMOTE MOUNT SOLAR PANEL, 1550 CFM, 25 WATT WITH THERMOSTAT. UNPAINTED, GALVALUME FINISH. LIFETIME WARRANTY. PRICE/KIT. SELF CONTAINED SOLAR POWERED ATTIC VENTILATOR FAN KIT, CURB BASE, REMOTE MOUNT SOLAR PANEL, 1550 CFM, 25 WATT WITH THERMOSTAT. PAINTED FINISH. LIFETIME WARRANTY. PRICE/KIT. MODEL AB251D, 1550 CFM, FLAT SELF-FLASHING BASE, REMOTE MOUNT 25 WATT PANEL, SOLAR POWERED ATTIC VENTILATOR FAN KIT WITH THERMOSTAT. UN-PAINTED GALVALUME FINISH. LIFETIME WARRANTY. PRICE/KIT.